I've been living with a big empty wall above my sofa for quite awhile and am still debating how to address it. While mulling it over, I came across a One Kings Lane blog showing several attractive examples of how to make a high impact statement above the sofa that's against the wall, anchoring the room. As art collecting's our thing it's more than likely an as-yet-to-be-found amazing artwork will take pride of place above our sofa. If you're in a similar dilemma or are just looking for a change, take a look and get inspired. 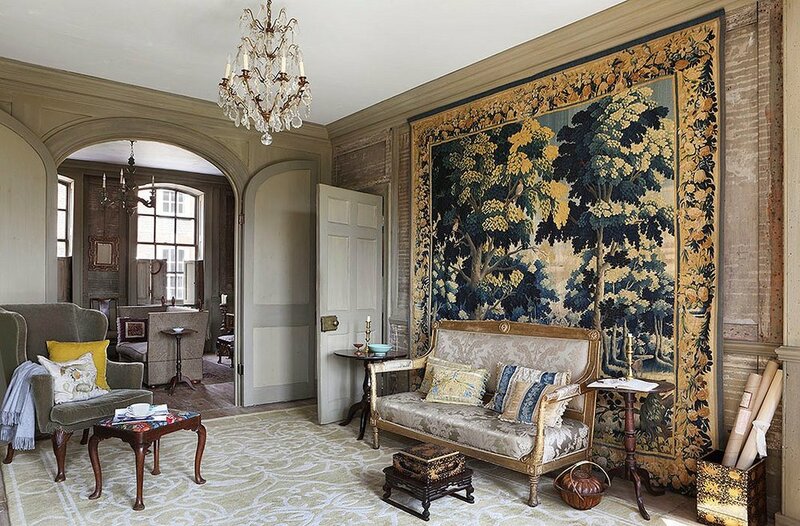 I love custom wall treatments and even in this sumptuous livingroom the mural manages to steal the show!